– “Well, I am ‘playing', not playing, RuneScape. I was just fishing”. What did you just read? Let us slowly explain. RuneScape. 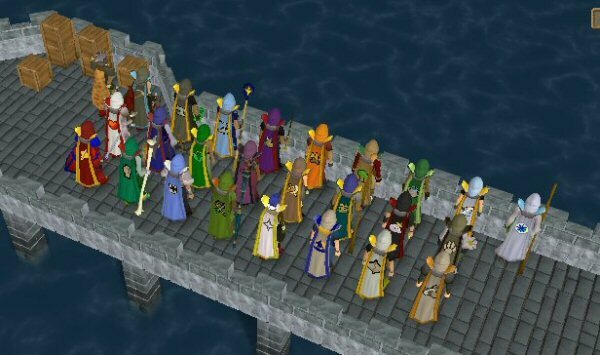 We've all played RuneScape sometime during our MMORPG career; whether or not we want admit it. 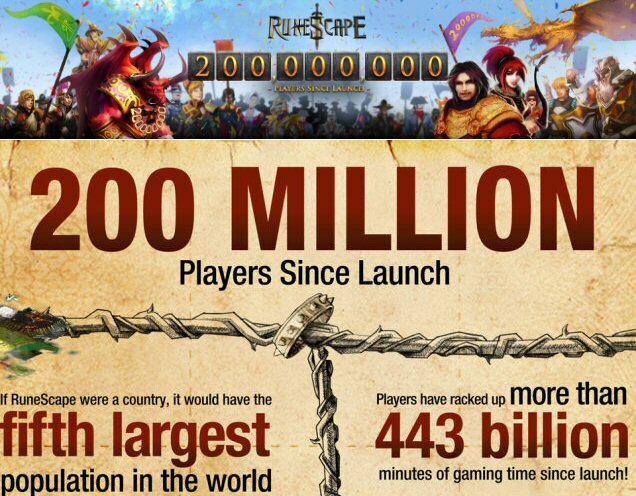 The key question is, what makes RuneScape so successful? Here, we propose that it is far from the game itself per se. Instead, RuneScape is the first game to transcend its MMORPG boundaries. 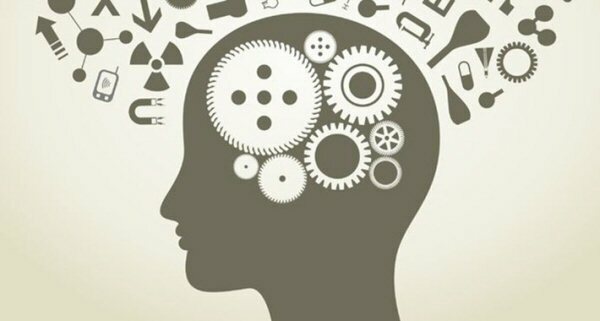 Due to its unique multitasking friendliness, it has become a platform to transform everyday leisure, and often mundane and politeness activities into productive experiences. It is a way of living. This concept sounds simple enough. However, its exact formulation is highly complex. We will explore this in further detail below. 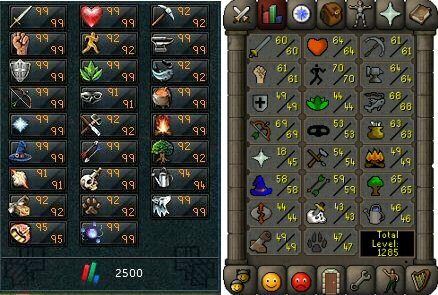 The first ingredient, which makes RuneScape a multitasking platform, is a minimalist design of graphics and gameplay. Whilst players, since late 2008, are offered the option to play the game in high definition, they can freely tune this down to the lowest requirements. This directly taps into the player’s mindset of ‘getting the task done’, whereby graphics becomes irrelevant. Heck, the player would not even be looking at the game window for the majority of the time. Likewise, players can still access the game through their browser, albeit that there is now a downloadable client. Playing in the browser allows total freedom in the resizing of the game window –maximum adjustment is allowed in accordance with the size of whatever other window the player is accessing simultaneously. This minimalist design sets the foundation of multitasking, through simplicity yet effective functionability. Let’s then probe into the psychological elements of RuneScape –ultimately, what so intensively draw players into the game. This is the most crucial component of the operative matrix. It strikes the optimal amount of player input required per game session. A strict timer logs the players out of the game if the player has provided no input for a fixed amount of time. Notwithstanding this, two unique characteristics differentiate this timer from that of other games. First, said time limit is 5 minutes. And second, any type of input, even one single click anywhere on the screen, fulfills the input requirement. In combination, these ensure that the player can focus upon his other simultaneous task(s), and yet, they will stay in front of the screen. RuneScape requires regular attention from the player, and in the smallest quantity possible each individual time –a few milliseconds per every 5 minutes. This makes RuneScape different from other ‘autopilot-able’ MMOs such as Crystal Saga, which offers the playerbuilt in, in-game bots altogether. Admittedly, if the game demands no active input at all, why even play? Surely, players all have different attention spans, as well as different tasks that they may want to multitask from time to time. For example, watching YouTube requires a different amount of attention than say, studying and writing an essay. Ha, yes, RuneScape too, caters for these possible differences. Jagex makes available to the player at least 10 skills, which they can train through multitasking, each varying in input requirements. The lowest tier involves the all the combat skills. With the correct setup, players can train these with no more than 1 single click or mouse key per 5-minute interval. The second tier contains those such as fishing, Divination, mining and woodcutting. To continue performing these tasks, the player needs to click upon a specific spot, and may be required to move overtime, alternating between numerous standing spots. The top tier contains mainly Runecrafting, fletching, crafting, and smithing. These skills require continuous, yet simple and repetitive inputs. These selections give the players a plethora of choice and the ability to change and mold his RuneScape multitasking in accordance of who he is, and what he feels like at one particular time. 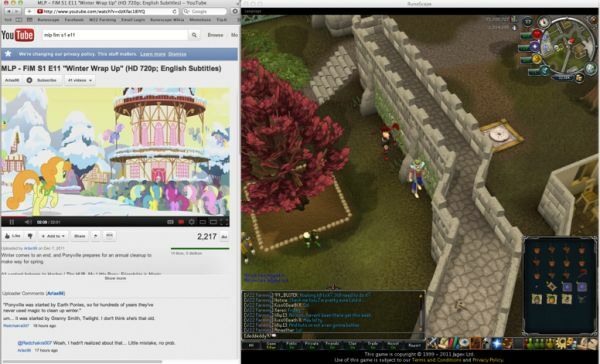 The player is trained to have RuneScape running in the background. Slowly, RuneScape becomes not only a habit, but also a dependency. The player will ignore RuneScape, however, he will never forget RuneScape. Whether this was incidental, accidental, or by deliberate design of Jagex, it has produced an ingenious outcome –the total attachment from the player. Expectedly, whilst being able to always multitasking whilst playing RuneScape is cool, it is completely pointless if without rewards. The grind, even if compatible with other tasks, would be unappealing if they are to produce no fruit. Yes, Jagex also implements an easily accessible and apparent achievement display system. One, each skill is given a level up to 99 and their own experience points. These can be easily viewed by fellow players from the high scores, and/or through level specific cosmetic capes and outfits. Furthermore, through their grinds, players also climb a stepped ladder of practical rewards, ranging from learning to catch sharks barehanded, mining for more expensive minerals, and summoning better companions. However, what is far more interesting, albeit complicated, is the interaction between the player’s multitasking playing experience and their active playing experience. Surely, RuneScape also offers a range of activities which demands for maximum attention and focus from players. Within these, any diversion likely participates the failure of the task, or even the death of the player’s character. Importantly though, the rewards offered by the multitasking experiences often offers either direct or indirect benefits to the active experiences. The most universal example is that through resourcing gathering skills, players can earn gold through exchanging their resources. More specifically, crafting and smithing aids the player’s PVM and boss batters through bettered weapons. This is the ultimate transformative step. Players are encouraged to schedule their daily timetable into the dichotomy of multitasking RuneScape, and actually playing RuneScape, now that they have become stronger and bettered. When you want to do other things, you can play RuneScape. Yet, when you want to play RuneScape, well, you can still play RuneScape. 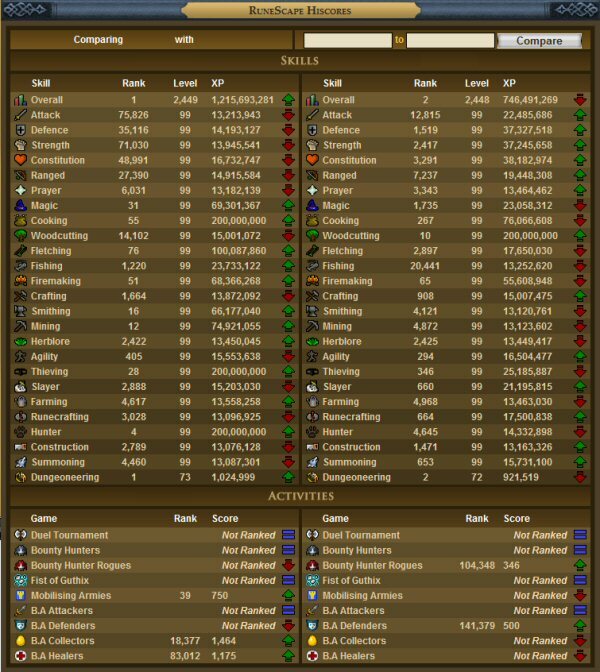 RuneScape undeniably deserves its title as the Number 1 Free MMORPG as per the official Guinness’s World Records. Yet, what renders it the best MMORPG is, ironically, that Jagex has made it no longer just a game. This is exactly why players find it so damn difficult to quit RuneScape. They just keep coming back. When you quit RuneScape, it is not just a game which you left, but rather, you have detached from a convenient, routinised source of fulfillment and achievement. RuneScape has become a platform, a tool, to transform every boring daily task into (although likewise boring) medieval adventures.